Plenty of office productivity suites and standalone applications are available on the market for word processing, building spreadsheets, and email. Although a variety of apps exist to serve these core functions, Microsoft Office is the most popular for a few reasons, primarily because it is the most familiar. Despite its popularity, the suite isn’t perfect, as apps will occasionally exhibit erratic behavior. Even though Office apps are the most popular among competitors, some would argue they’re not the best with many happily using Google or Apple products as a substitute. If you’ve encountered problems with Office in the past, you may have changed products yourself. Though this is the case for some, the majority remains faithful to Office, considering its shortcomings. 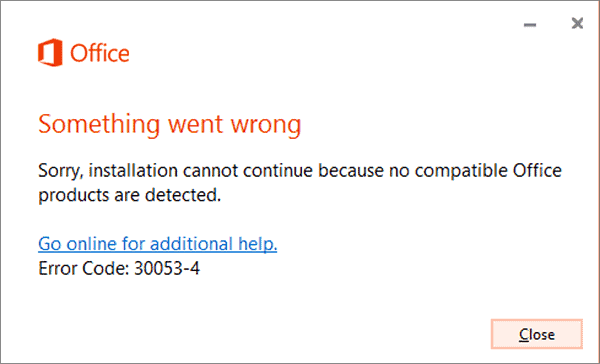 Since many are tethered to the suite for one reason or another, we’re going to look at the three most effective methods to troubleshoot or repair applications when they’re not working properly (or hang) on Windows 7 and higher computers with Office 2010 and up applications. Sometimes add-ins for applications are installed by a user on purpose but other times these extra bits of software tag along when unwanted software is accidentally installed or because of an infection. The picture above shows the Add-ins submenu which you can find in any app by clicking on File then Options to access this menu. Typically, Microsoft add-ins are innocuous but those from 3rd parties could be causing issues. If you see items that differ from above, Google these items to see if they’re notorious for causing problems. To remove an item, just click the instance followed by the Go… button. Select the checkmarks next to all the items that appear in the box followed by the Remove button. For more information on managing Add-ins, refer to this Microsoft guide. One of the most prevalent problems with Office apps is where the app hangs for seemingly no reason. It typically occurs after a computer sleeps or hibernates for a while and you return to find the app freezing or a dialog box appears, stating the app isn’t responding. You can run through the troubleshooter, but it’s hit or miss as to whether it finds an applicable solution. If it’s intermittent, it’s likely stemming from one two underlying issues. Office or your system is out of date – On a Windows computer, Office updates usually come along with system updates. Windows 10 is fairly automatic but older versions may need manually updated. Tap your Windows button on your keyboard to open the search function and type update. The first option will be to update your PC. If you need more help, refer to information in this link and make sure to reboot. The ClickToRun Service isn’t working – For some reason, certain computers respond poorly after waking from sleep or hibernate. If an Office app is responding, the instance ClickToRunSvc is the likely culprit. To quickly shut this service off on Windows 10, press CTRL + ALT + Delete to bring up the task manger and select the services tab. On other versions, the easiest method is to bring up the run dialog box by pressing CTRL + r then typing services.msc to find your running services. When either is open, right-click on the ClickToRunSvc and select Stop from the menu. 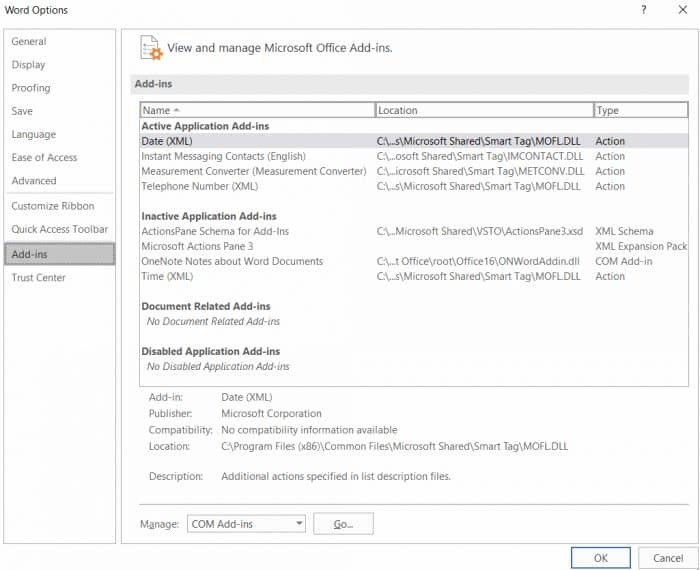 Close or force close the application (if necessary) then open any office app again. Sometimes, there are several corruptions causing problematic operation where repairing the suite from within the Control Panel is the best recourse. The quickest way to the control panel for all versions of Windows is to open a run dialog with CTRL + r then type appwiz.cpl. Navigate to Office and right-click then select the Change option. You’ll be presented with the option for a “Quick Repair” or “Online Repair.” Choose the “Quick Repair” option and wait for several minutes to see if this resolves the issue. If it doesn’t work, you can choose the “Online Repair” however, this takes just as long and is slightly less effective than just reinstalling the application by first selecting Uninstall. In either case, you will likely need to reenter your product key which is either on the box, stored in your Microsoft account, or possibly found in a software distribution center, whether a file server at work or inside a school network. If you reinstall, make sure this info is handy. If you find that you’ve reached a snag with Office but can’t seem to resolve the issue, it’s time to contact an expert. Call us at 1 (770) 936-8020 or send us an email info@widedata.com and we’ll figure out a solution to keep you up and running.